Yes, we all love java. It gets us going in the morning. But is it really such a good idea? It’s not uncommon for employers and employees alike to reach for a caffeinated beverage when they need a bit of an energy boost. And while some might prefer to get their caffeine in the form of soda or an energy drink, the majority of consumers' favorite mood-lifter is coffee itself. That addiction is likely fueled by caffeine, which seems to have an impact on mental clarity and performance. The down side? Besides being addictive, caffeine can encourage weight gain and obesity. But coffee has its plus side, too. First, we're observing the growing popularity of bulletproof coffee, which of course is good for business and entrepreneurship. And, second, we're also seeing that this popular beverage has been identified as an antioxidant. So, overall, is coffee good for you? Does it truly increase productivity? Here are the issues to consider when you consider coffee. Medical writer Stephen Braun has said that caffeine blocks receptors for adenosine, a compound in your brain that causes drowsiness. This explains why many of us feel less tired when we consume coffee. In low doses, caffeine also is said to improve mental performance and alertness. The caveat of course is that caffeine does not affect everyone the same way. Your personal response to caffeine could be vastly different from that of someone you know. Other factors in your personal response include the dosage you consume, your weight and age and even the quality of your sleep. 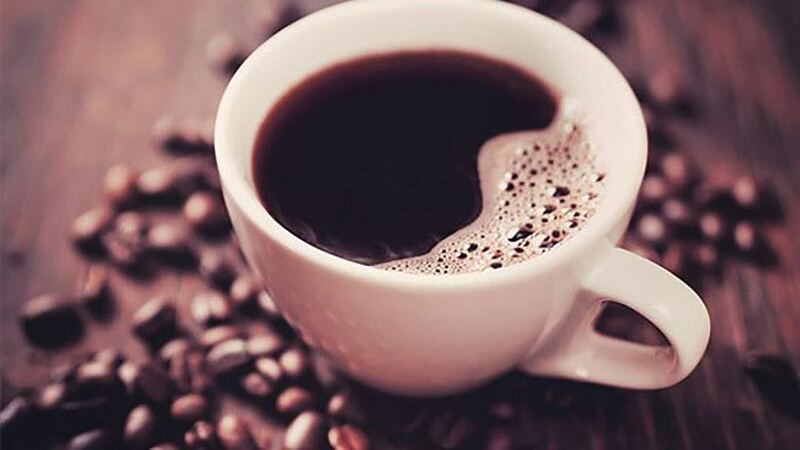 You should be aware that you can build up tolerance to caffeine over time, so one cup of coffee might not be enough to give you the same boost it used to. In fact, some people don’t feel anything until they’ve downed two cups, though that may not be anything to brag about. It just means you’ve been hooked on caffeine a long time. In shorter bursts, moreover, coffee can increase your cognitive functions, memory, alertness and energy. But as we all know, this effect can be short-lived, and you might crash later in the day. In smaller doses, caffeine should not affect your sleep schedule. But if you consume too much, you may find it harder to fall asleep at night. This can unfortunately create an unhealthy cycle of not sleeping enough, stressing out and performing poorly at work. A longer-range result may even be burnout or an anxiety attack. Overuse of caffeine, moreover, can result in an upset stomach, the jitters or even heart palpitations. There is a greater focus on sleep now than the past, fueled by conflicting viewpoints between the hustle mentality that entrepreneurs like Gary Vaynerchuk and Grant Cardone promote, and the opposing perspective set forward by the likes of James Altucher and Arianna Huffington. Only you can decide what’s right for you, but either way, it’s good to be aware that your sleep can be negatively affected by caffeine. So, be aware that moderation in coffee consumption is your best choice. By now, it’s a foregone conclusion that your willpower is depleted throughout the day as you make decisions. This might be one of the reasons Steve Jobs was known to wear the same outfit every single day. He didn’t have to think about what he was going to wear when he got up in the morning, and was thus able to save willpower for bigger decisions. As it turns out, coffee can strengthen your willpower and self-control, particularly when you’re exhausted. Making a big decision when you’re tired isn't wise. You could end up compromising your values, succumbing to pressures in negotiations or taking on new projects at inopportune times. Drinking coffee beforehand, however, may help you stand your ground and make better decisions. This is a good thing to keep in mind if you’ve had a busy day and still have important decisions to make. Entrepreneurs are constantly facing new challenges and putting out fires. In business, a strong mentality is a prerequisite, but even the best people can become frazzled and stressed out. If this continues over the long haul, you could even burn out. The tendency is to become even more reliant on coffee when you’re drained. As it turns out, this is the worst time to load up your body with caffeine, as it can result in elevated blood pressure and adrenaline levels. As we’ve already seen, caffeine blocks adenosine, so the buildup can suddenly come flooding in as you crash, making you feel even more tired. This might sound innocent in and of itself, but it’s a good way to trigger a panic attack, and once activated, anxiety often must be managed over the long haul. You may even wind up with an anxiety disorder. You don’t need more caffeine when you’re coping with high levels of stress, despite its overall benefits when you aren’t under extreme pressure. Many entrepreneurs are prolific consumers of content, whether it’s articles and blog posts, magazines, trade journals, books, podcasts or videos. This information helps them make decisions, innovate and implement new ideas in their business. Ongoing study requires focus and attention, which, like willpower, can lessen throughout the day. It has been shown that 200 mg of caffeinecan help you identify words and phrases faster than you could do without coffee. Many entrepreneurs make it their goal to pick up new skills, learn technology or gain a better understanding of where their company stands among others in their industry. A cup of coffee -- or two -- just might be what you need to give your full attention to the material you’re studying and put it to use in your company. It’s important to be aware of both the upsides and downsides of coffee. Moderate use, with accompanying attention to your sleeping habits and stress levels, can be beneficial. Meanwhile, be aware that overuse and misuse may agitate an existing health problem or develop a new one. Typically, caffeine abuse isn’t worth the trouble it brings, so set boundaries for yourself and stay healthy. When's The Perfect Time to Post on Facebook?